Walking with Jesus: Day 189: John 17 & Psalm 68 - What Does Jesus Pray for Us? Day 189: John 17 & Psalm 68 - What Does Jesus Pray for Us? In John 17, we read Jesus' prayer for His people. Many people have said that this is the true Lord's Prayer, and that the prayer we call The Lord's Prayer should really be called The Disciples' Prayer. Others have called this Jesus' High Priestly Prayer. 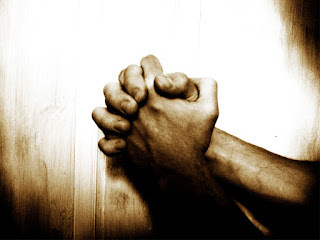 As Jesus knelt in the Garden on the night He was betrayed, He agonized in prayer. From the other Gospels, we know He wrestled with the agony of His coming crucifixion, where He would be the object of His Father's wrath due for our sin, as He would become sin for us. But Jesus' prayer life on this final night with His disciples was more than "Father. if it is possible, take this cup from me. Yet not as I will but Your will be done." Jesus also spent time alone praying for His disciples and for the church that would arise from the disciples' testimony. Jesus begins with simple words pregnant with great meaning: "Father, the hour has come." In John's Gospel, this particular hour is a reference to the cross, to the fulfillment of Jesus' mission to do the Father's will by offering Himself up as a sacrifice for the atonement for our sins and the appeasement of God's wrath. So Jesus is fully aware of the imminent approach of the cross. This is His final time of extended intercession for His people before He offers Himself for us. So, what does He pray? 1. "Glorify your Son that the Son may glorify you." Nothing is more centrally important that the glory of the Father and the Son, the glory of God. It is what God is most concerned to display and what our souls most need to see. God cannot give His glory to another, because He alone is God. We must not seek any other glory but the glory of God, for all competing glories are cheap, hollow, lifeless, fraudulent. 2. "Holy Father, keep them in your name, which you have given me." Jesus came to reveal God to His disciples, and to bring us to know God, for "this is eternal life, that they know you, the only true God, and Jesus Christ whom you have sent." Now, He is praying that His disciples would be kept believing in Him, knowing Him, trusting only in Him. He knows that our only hope of security, protection and salvation is found in Him alone. 3. "I do not ask that you take them out of the world, but that you keep them from the evil one." Jesus' desire is not a protection by removal from danger, but by being kept by the power of God even in the midst of danger. Specifically, we need to be kept from Satan's deceptions and ensnaring devices. 4. "Sanctify them in the truth; your word is truth. As you sent me into the world, so I have sent them into the world." As Jesus sends us into the world, we must be sanctified (set apart) by the truth of God's word. We must be kept as we keep the word in our hearts. 5. "I do not ask for these only, but also for those who will believe in me through their word, that they may all be one, just as you, Father, are in me, and I in you, that they also may be in us, so that the world may believe that you have sent me." This part of Jesus' prayer is often mis-understood. People often think Jesus is here praying for external organizational unity for His church, but His prayer is deeper and more profound. He is praying for our unity to Him and the Father, which will truly unite us with one another. Unity is not achieved through an organization but by union with Christ. I am truly one with everyone who is truly one with Christ - not because we belong to the same organization, but because we truly belong to Him. So, this is how Jesus prays for us. We see the same pattern and priorities reflected in Paul's prayer for the church, too. Is this how we pray for each other? You are supreme above all earthly powers. You reign with absolute sovereignty and majesty. far outlasting and outshining the passing kingdoms of men. have praised Your name and have seen Your power come to our rescue again and again. O Lord, let the nations know that You are God! Show them Your power and let them tremble in awe of You. and carry Your kingdom to the ends of the earth. with fear and trembling, with holy reverence. We are too flippant, too self-centered, too shallow and too passive in our worship of You. You are God Almighty and Your power and glory and wisdom and love know no limits. Let us worship You in holy fear. O Lord, cast down Your enemies from before You. and overthrow Your kingdom be frustrated and defeated. and let Your people delight in you and find our joy in You. You are the Father of the fatherless and the Protector of widows. Satisfy us in Your loving care. We need You, our Father. In Jesus' name, Amen!